We pride ourselves in providing high quality ingredients in our breakfasts and we source as much local produce as we can. We get our meats from a local butcher, Thomasons, in Keswick. They in turn source all their produce from local farms and they make their own sausages, black pudding and cure their own bacon. We also have Linda McCartney vegetarian sausages. Our delicious free range eggs come from Scales Farm in Embleton. When you drive past the farm you can see the hens wandering around a large field enjoying the fresh air. 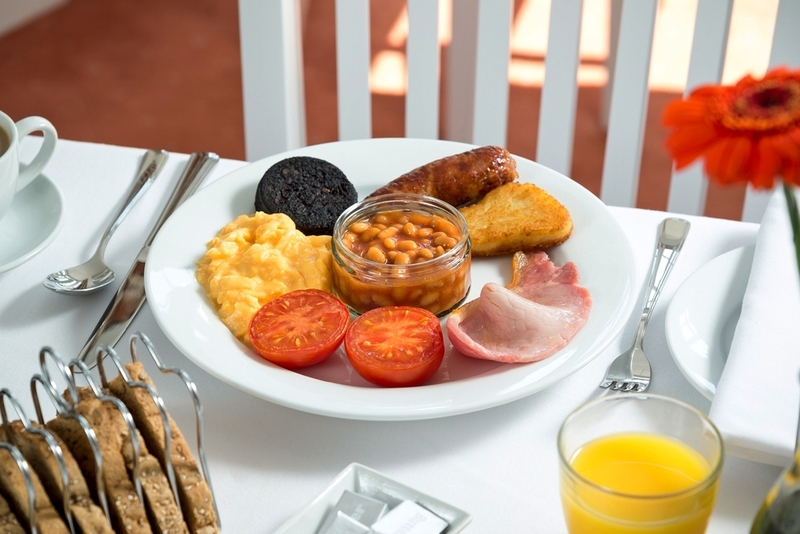 We offer lighter bites for those not wanting to eat a full cooked breakfast so there is plenty of choice for all appetites. 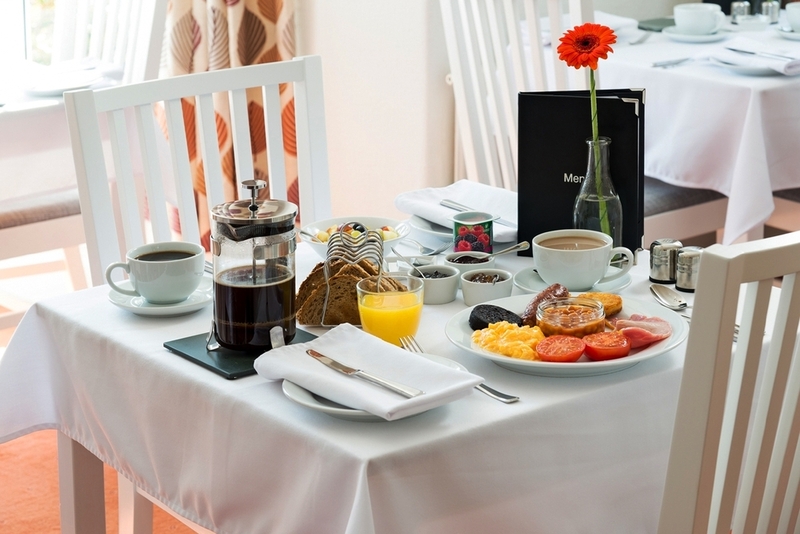 We also have a choice of cereals, fresh fruit salad, yoghurts and fruit juice to enjoy alongside your chosen breakfast. We buy British products whenever available and our baked beans are Heinz. We hope to help you relax and not worry about whether the food we are supplying is truly gluten free. A member of our family is a coeliac and we have many years experience of understanding what is required for a gluten free diet. We have sourced some high quality products to ensure you can have a cooked gluten free breakfast, however we ask that guests to let us know if you require a special diet at the time of booking. Our butcher makes their own pork gluten free sausages, which taste fantastic. We also provide gluten free bread, porridge and have got some really tasty gluten free hash browns. We will make your toast in a separate toaster, used only for cooking gluten free bread. 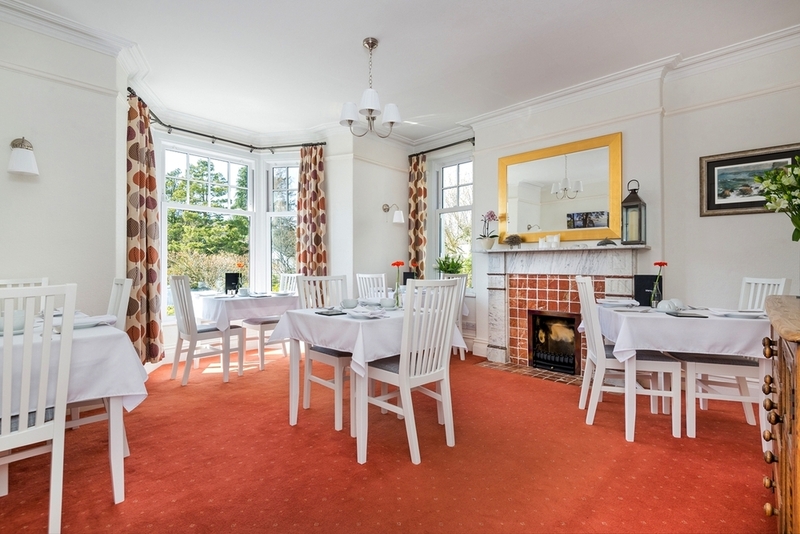 On your arrival we will offer a you a hot drink and a gluten free cake (sorry Sue's wonderful ginger cake is full of gluten) and will also swap out the biscuit in your room for a gluten free item. We make every effort to prevent cross contamination of foods, however we cannot guarantee there will not be any as we have a standard sized domestic kitchen where we prepare and cook all our foods. If you have any allergies please let us know at the time of booking.